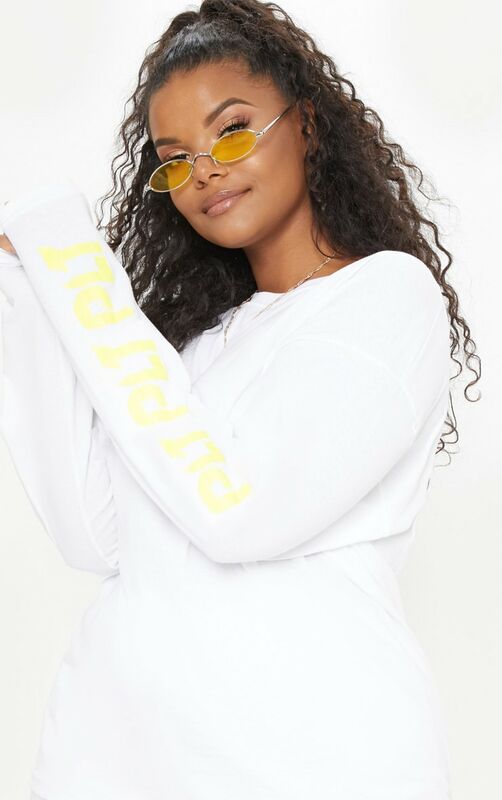 Rep your fave brand with this long sleeve tee. 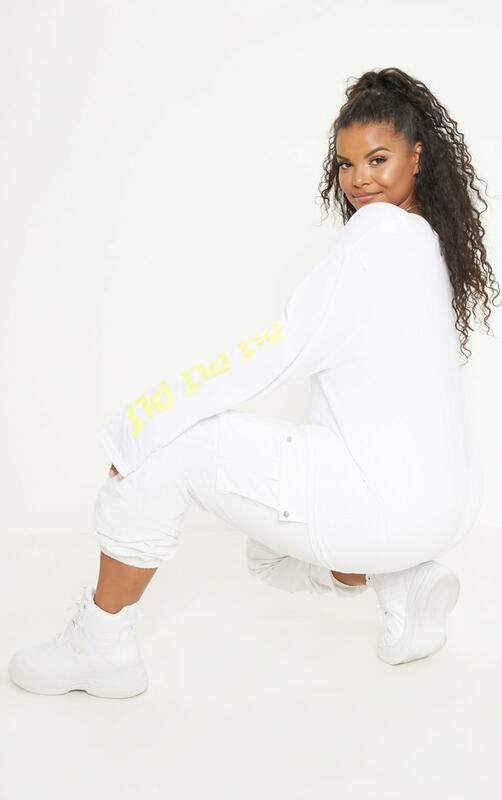 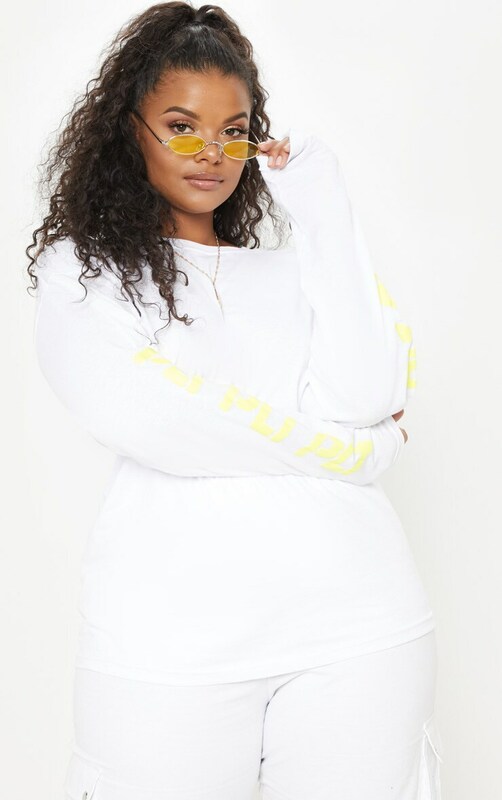 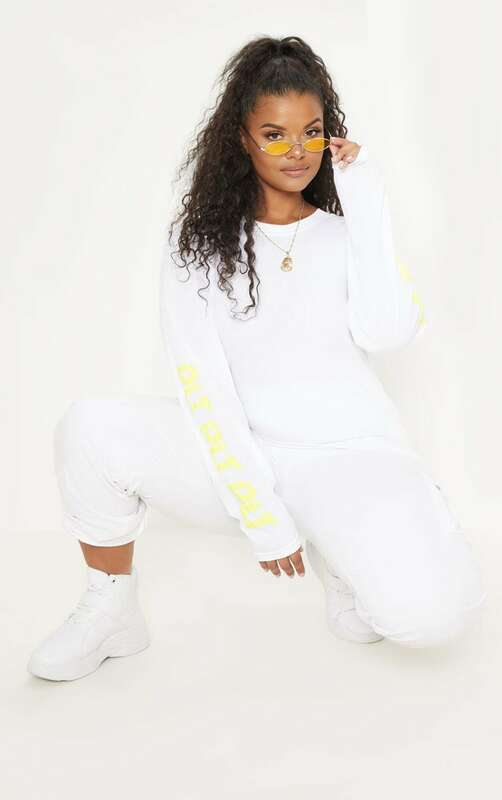 Featuring a white material with a contrasting yellow 'PRETTYLITTLETHING' logo on the sleeves and a loose fit. 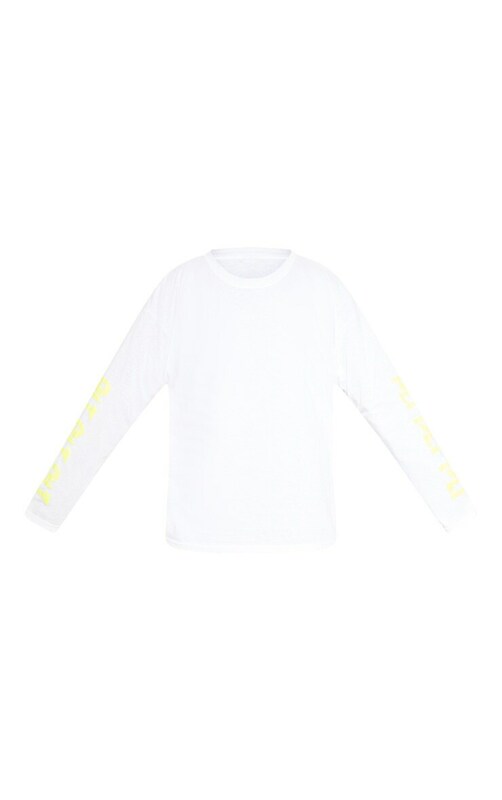 Team this with white joggers and chunky sneakers for a clean off-duty look.